Poupee has a kind naughty look and ring to it, and in fact its original roots are vulgar Latin, but the French over time converted something naughty into something nice. Poupee is the French word for doll, and it's often used in France in expressions such as “jouer a la poupee” (to play with one's doll) and “jardin de poupee” (tiny little garden). It's become a catch-all word, and may be used to describe a doll, a puppet, a dummy, a marionette, or even a dress-stand, chick or bird. Press releases use poupee a lot when they get tired of saying “doll” over and over. 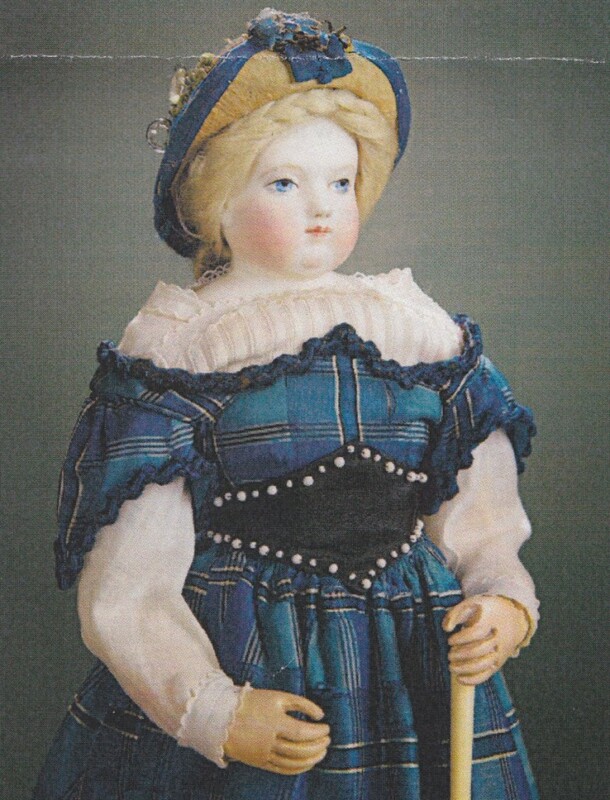 One such release was generated in October 2016 for the doll collection of Estelle Johnston, who began her massive collection of 18th and 19th century wooden dolls back in the 1960s. They all came up for bid Oct. 1-2 at Theriault's, the Maryland-based auction house that specializes in dolls. The doll you see here was described as such: “Gracing the cover of the Theriault catalog was this superb poupee by Adelaide Huret, enhanced by a fine early original costume including parasol and leather shoes, signed Huret. She sold for $28,000.” Visit www.theriaults.com.